For Christmas I bought John an Anova sous vide machine, the portable kind. Our first attempt was pretty much a success. 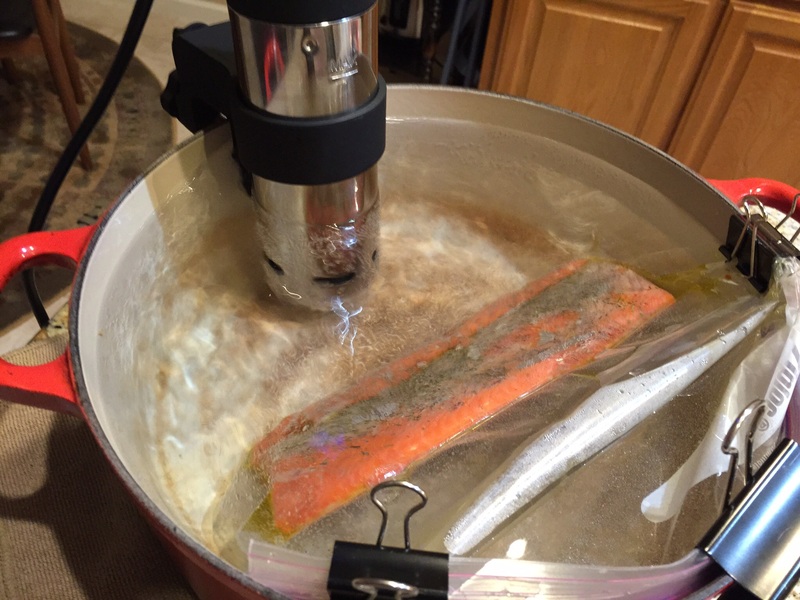 In the picture above the salmon with some olive oil and seasonings is sealed in a heavy duty ziplock bag, the air has been pressed out, and the bag is clipped to the side away from the circulator to make sure it does not float. We set the temperature for 122F. The machine brought the temperature of the water up quickly. It reached 122F faster than I expected. From articles I have read, I think we should have left the fish in the water a little longer. It won’t cook more but I feel the fish would have retained its heat a little better. However it was uniformly cooked and very tasty. 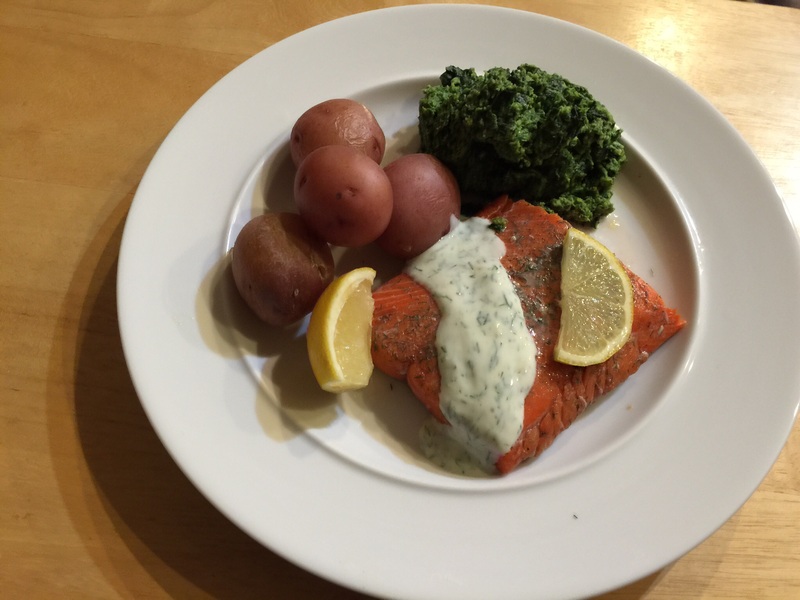 I served the salmon with a dill yogurt sauce, steamed new potatoes and spinach. Sous vide salmon with dill-yogurt sauce, steamed potatoes, and spinach. This entry was posted in Fish and tagged salmon, sous vide. Bookmark the permalink.